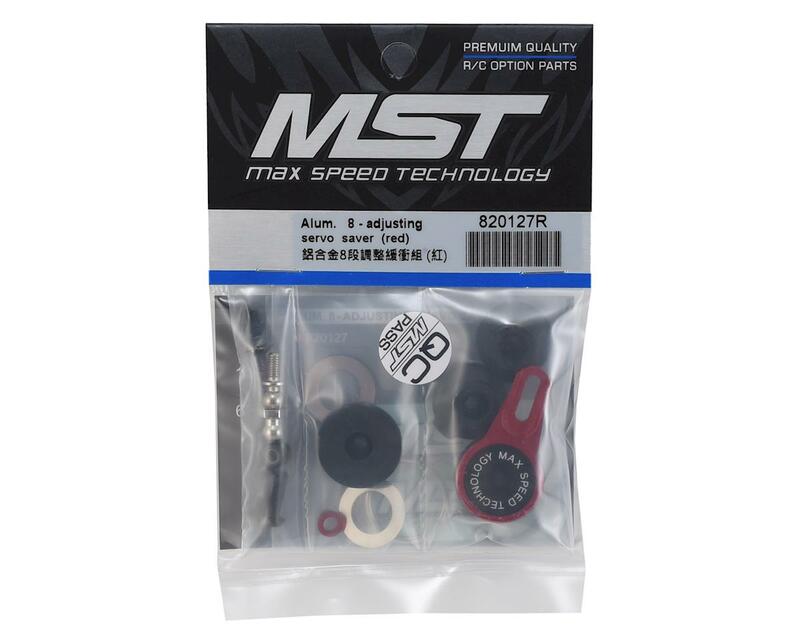 The MST Aluminum Adjustable Servo Saver is a great option for a variety of applications. This servo saver includes two output inserts for 23T and 25T servos, and three springs (one installed) to allow you to adjust the breakaway force. Plus, the servo horn provides eight positions for the pivotball mount so you can tune the feel of the steering to suit your preference. 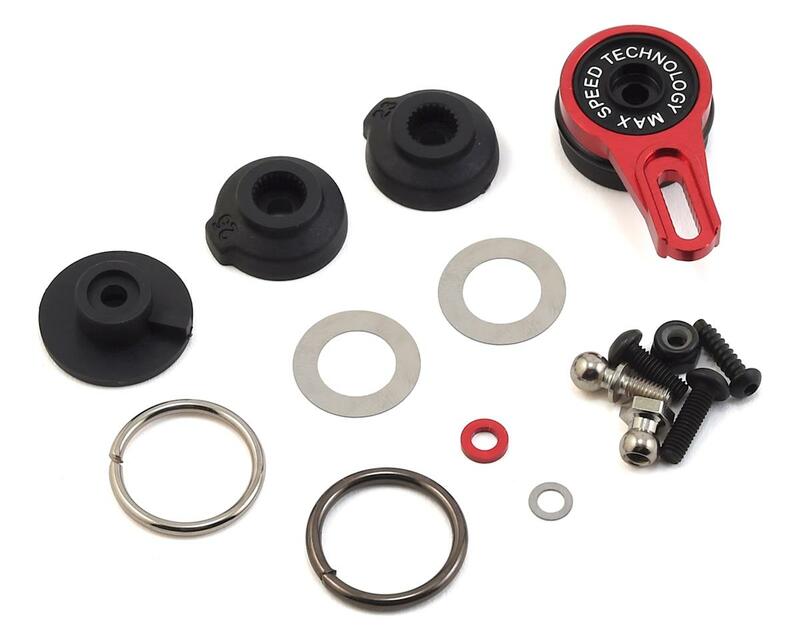 Package includes all the parts needed for installation in most applications.